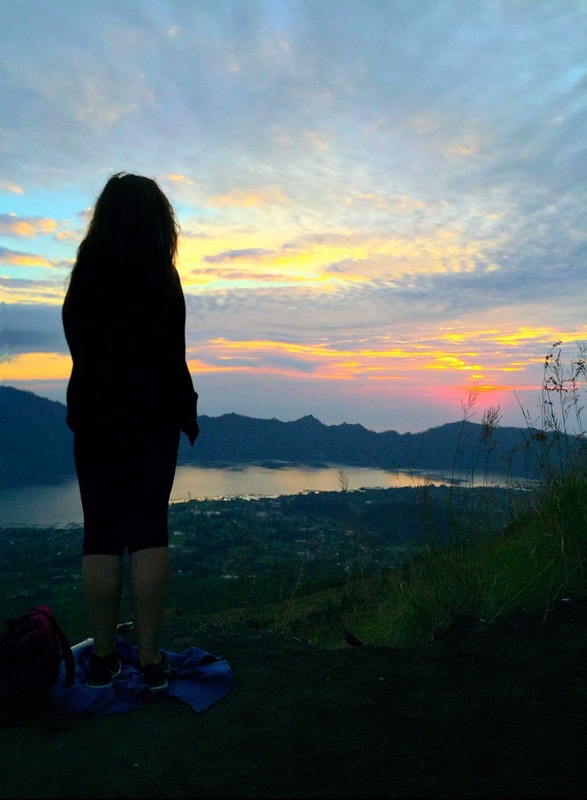 The Mount Batur sunrise hike in Bali, Indonesia is a rewarding and magical way to start the day. 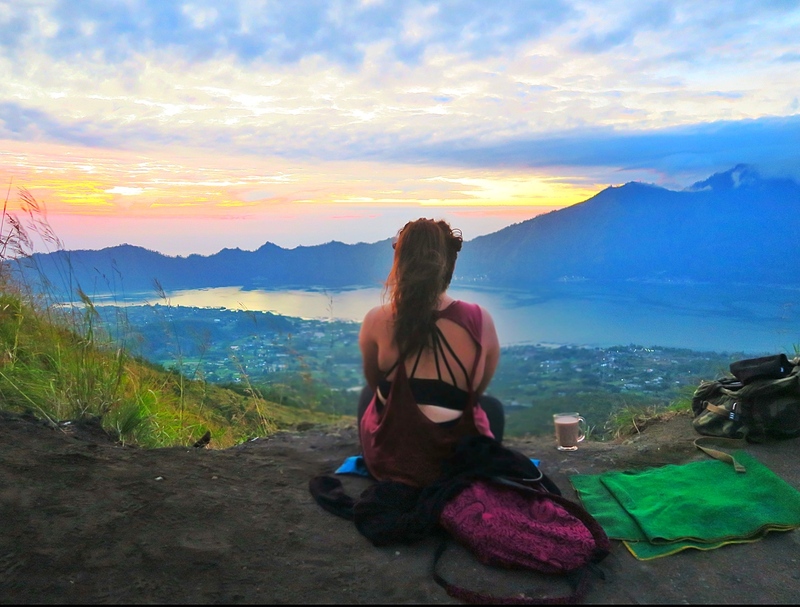 Plus, sunrises in Bali don’t get better than this. 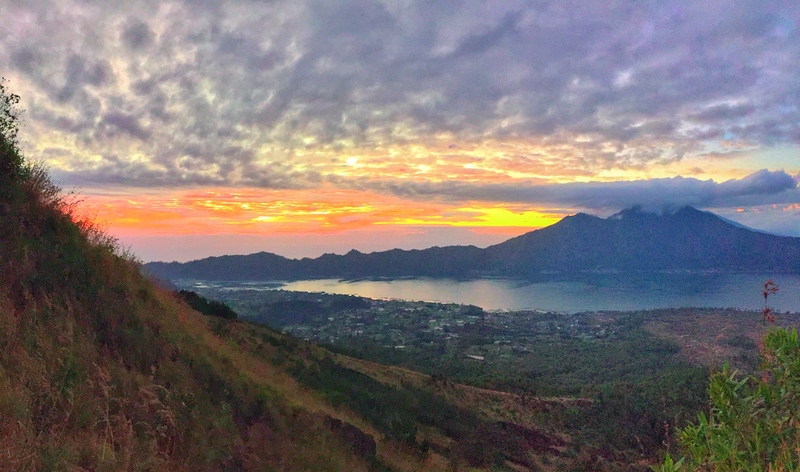 Mount Batur, an active volcano is one of the sacred mountains, standing at 1717 above sea levels and offers breathtaking views of Lake Batur. 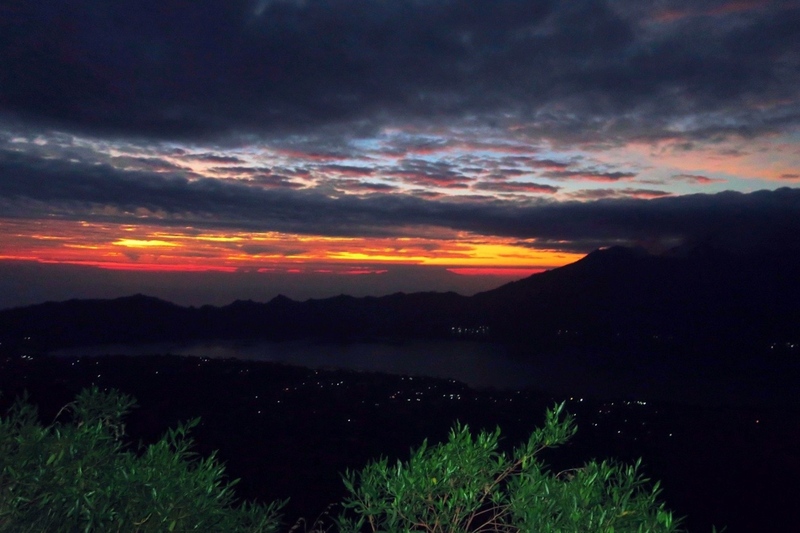 It is located in Batur village in the Kintamani region. 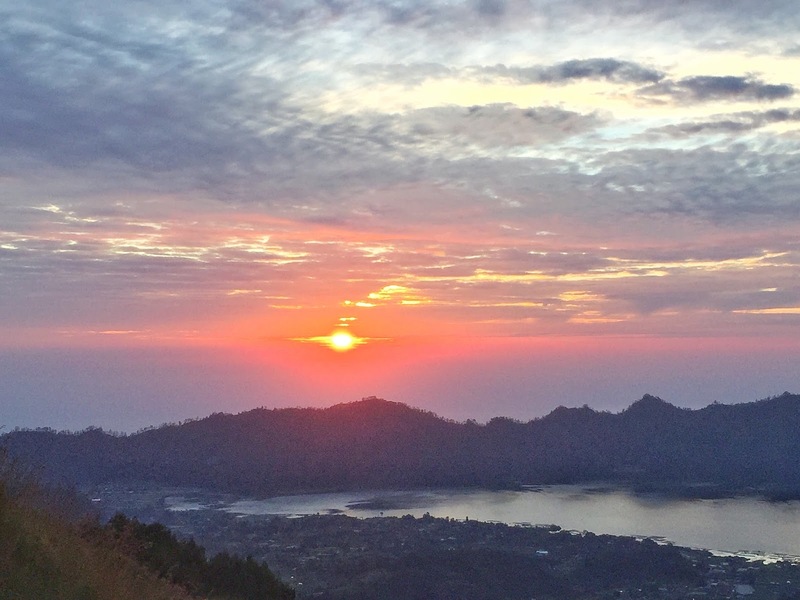 If you opt for the sunrise trek (which is a popular option), you have to get up at the ungodly hour of 2 am to get picked up, and then you start the trek around 4 am. It should take about 2 hours to go up and 2 hours to get down. You may not be the happiest waking up that early, but it's worthwhile once you accomplish the trek. I think this was the most productive day I had on my Bali trip because a few hours later we went to visit Tegenungan Waterfall. 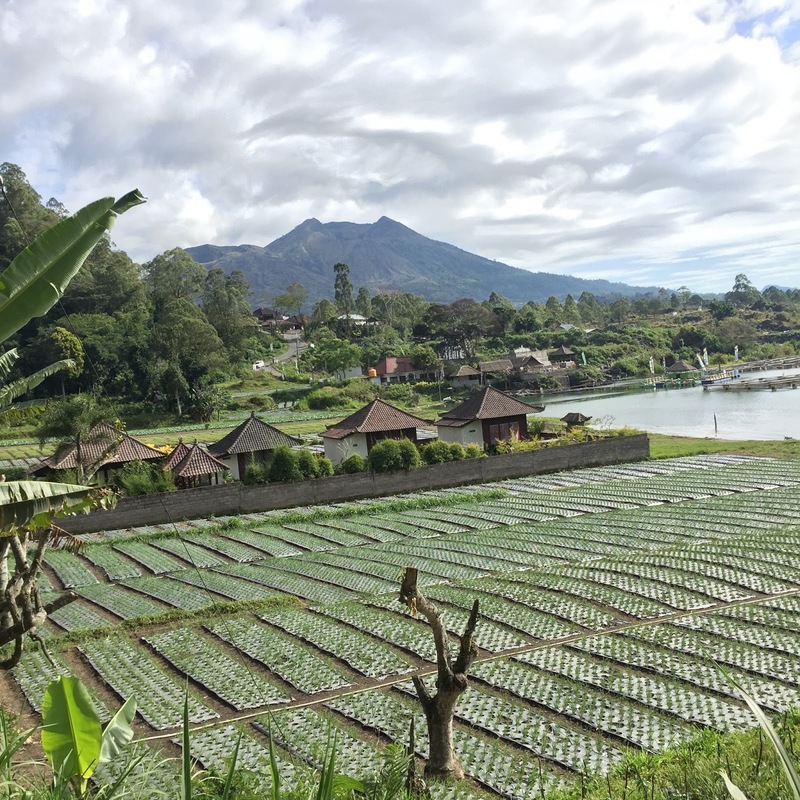 If you want to read more on my adventures in Ubud (click here). If you have ever been to Tegenungan Waterfall, then you know theres a flight of steep stairs you need to go down and up when seeing the waterfalls. Let's just say my legs were feeling like jello by the end of the day. This activity wasn't high on my list of priorities when I was coming to Bali to be honest. My friend is the one who added this to our itinerary since she's a California girl who loves to hike. As a New Yorker, I'm not much of a hiking kind of girl so I was pretty worried about this activity. I've done a volcano hike in Greece a year before (click here) but this trek seemed more strenuous. Don't get me wrong I can walk for miles with no problem and I also made sure to workout on the stair-master before the trip to work on my incline fitness but I was still a bit worried. Not even close to the half-way mark I wanted to quit so many times. If it wasn't for the group of girls I was with, I would have stayed behind. They encouraged me to keep going and didn't mind stopping for multiple breaks with me. 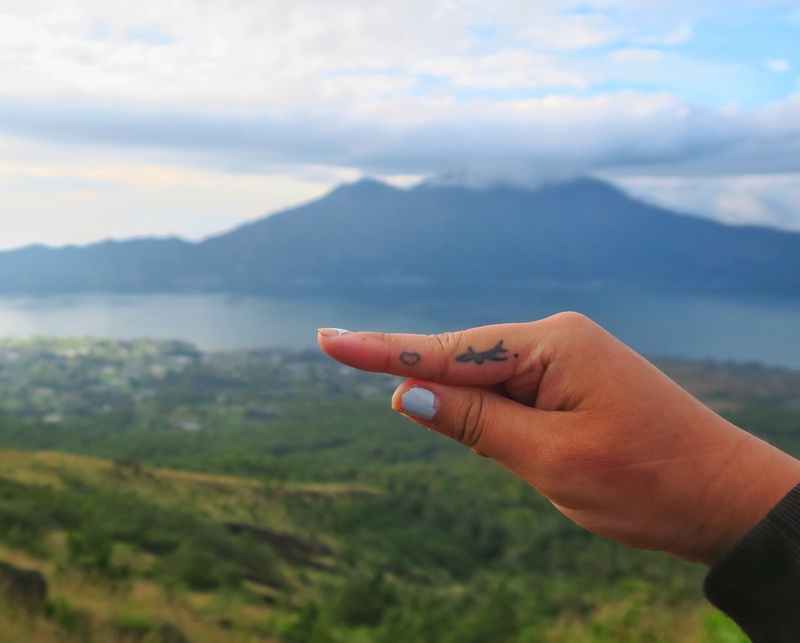 Tips for climbing Mount Batur. Dress in layers- The temperatures can change quite drastically from the base of the volcano to the summit. While you may be okay in shorts and a t-shirt when you first start the climb, you’ll find that it’s very windy once you reach the top and have to wait for the sun to come up. Bring a hoodie or a windbreaker just in case, you don't want to be regret it later. Wear the right shoes- I hiked in running shoes and I was fine, but if you have a pair of hiking boots, that might be a better option. You’ll be climbing over sharp volcanic rock and there will also be sections with loose gravel to watch out for. You want to wear a shoe that has a good grip. Bring water- The climb is quite steep so you’ll get tired a lot quicker than you’d think. Pack a drink so that you can stay hydrated. Some tours provide water for you before and after your hike. Consider your fitness level- 1,717 meters may not sound like a lot, but keep in mind that the incline is steep! 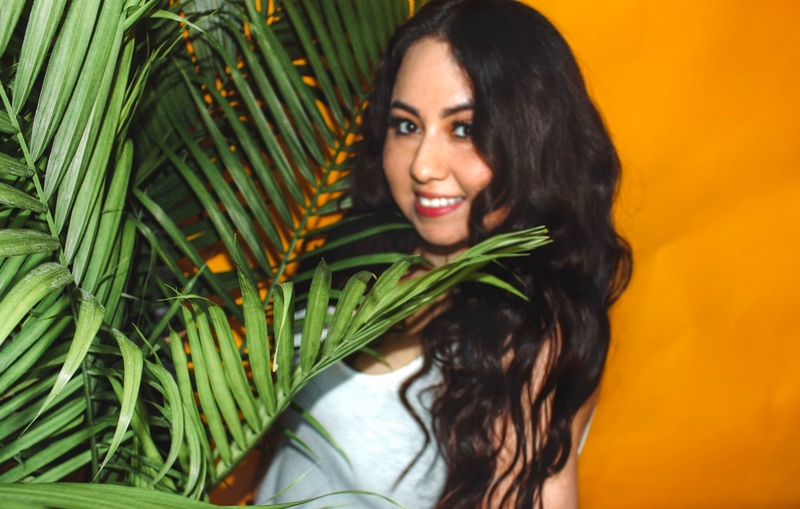 I met a few people along the trail that were just hating the experience (I was one of them) so think about whether or not you have what it takes to reach the top and then come back down. It should be a total of 3.5-4 hours of hiking (up and down) if you’re able to keep a steady pace. Bring Snacks- Pack some snacks with you because you will need fuel for your body. I know for myself I need something in my system before doing an strenuous activity. Good thing I did pack a few extra snacks because a girl in our group has diabetes and her insulin was low during the trek and she needed the snacks more than I did. There is also small wooden shack at the sunrise point on the volcano where you can order a little breakfast. The menu includes hot drinks and things like toast, boiled eggs, and ramen noodles. It’s a simple fare, but you’ll probably be hungry after the 2 hour climb. Most items cost anywhere between 20,000 to 25,000 rupiah (around $2 USD). 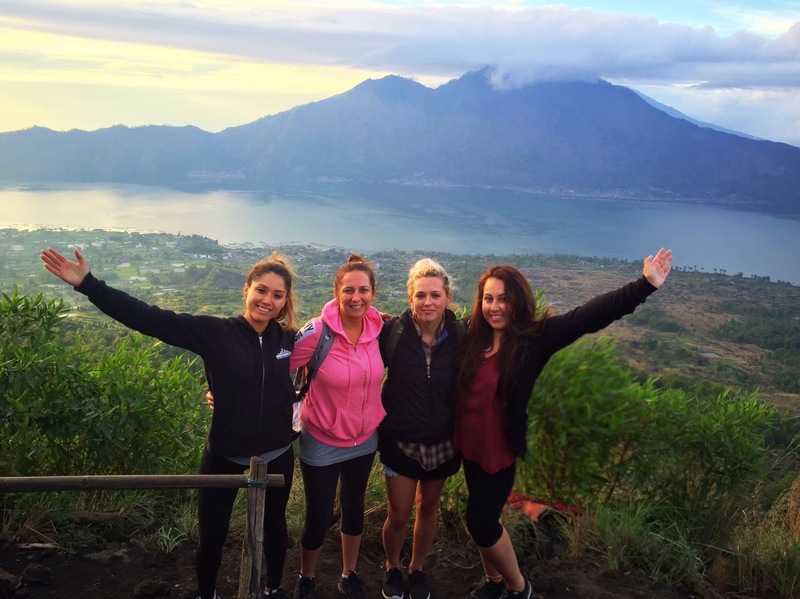 Tours Packages- The sunrise climb up to Mount Batur can easily be arranged once you’re on the island or you can book online before your trip. 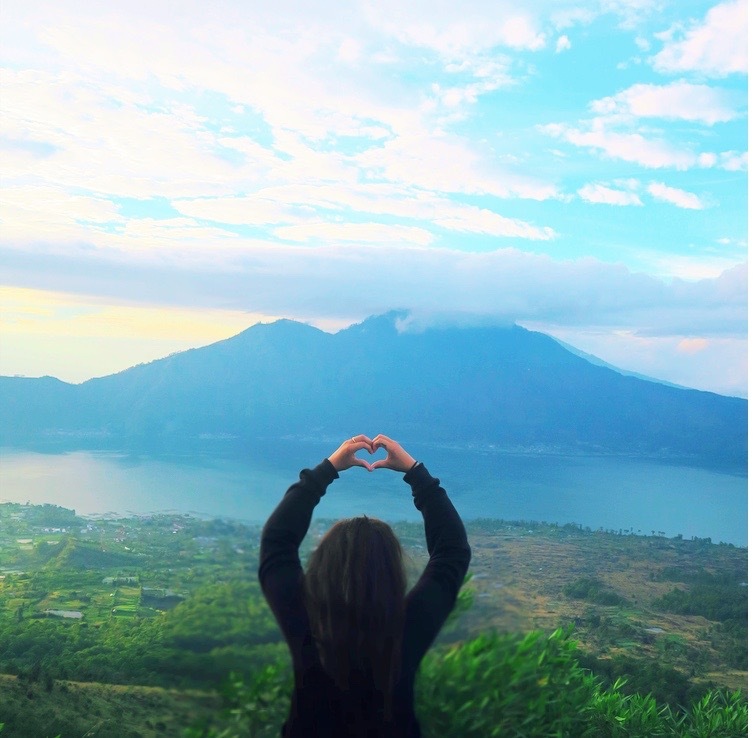 There are many companies that offer sunrise and sunset tours for this volcano, so it's up to you which one you choose. My friend booked our tour through this company (click here) and this packaged includes transportation to and from your hotel, an experienced guide, water, flashlights, and breakfast. 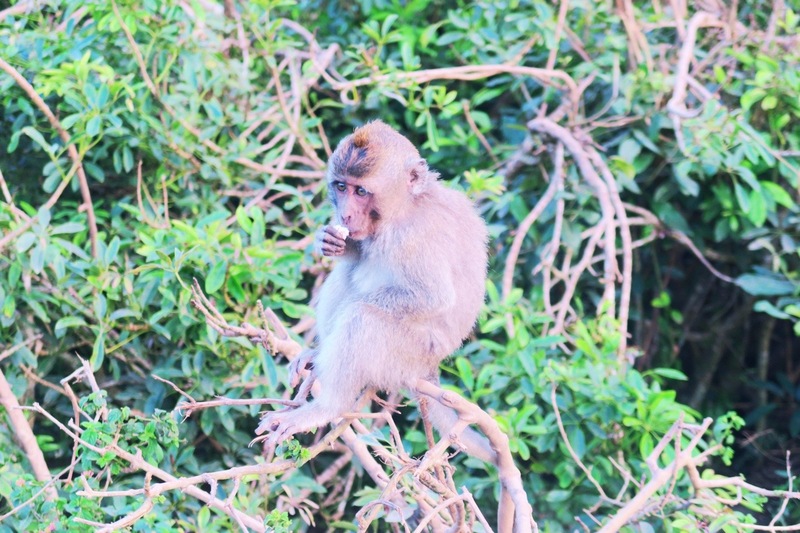 Beware of Wild Monkeys- At the top of summit, there are wild monkeys roaming everywhere! I would be careful with your belongings and also refrain from feeding them. I witnessed a couple people who got bitten by them. 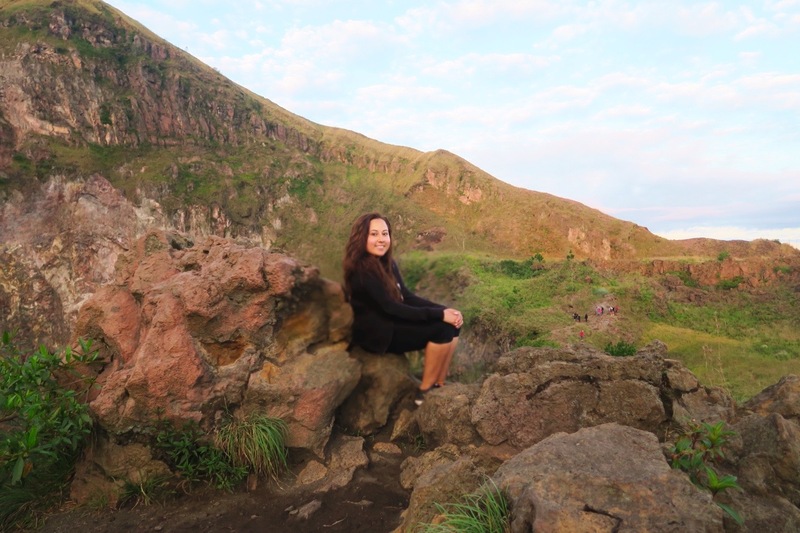 Be mindful of nature’s ways; Mount Batur is still an active volcano- The last serious eruption was in 1968 when the lava field tragically covered an entire village. The volcano was active again from 1997 to 2000, and in 2000 it shot 300 meters of ash above the crater. The hiking trail was also temporarily closed down in 2009 after some activity was detected. Keep informed before you decide on the hike. Where was your hardest hike/trek you have ever done? 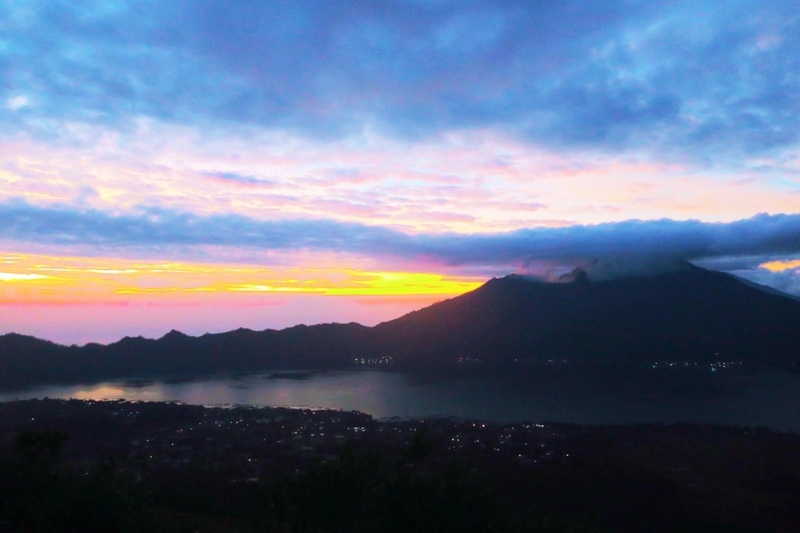 That sunrise on Mount Batur was mesmerizing. Wish I could get up early and do a hike like this. I am not a morning person at all, but for this view and sunrise I would drag my body out of bed at 2am. 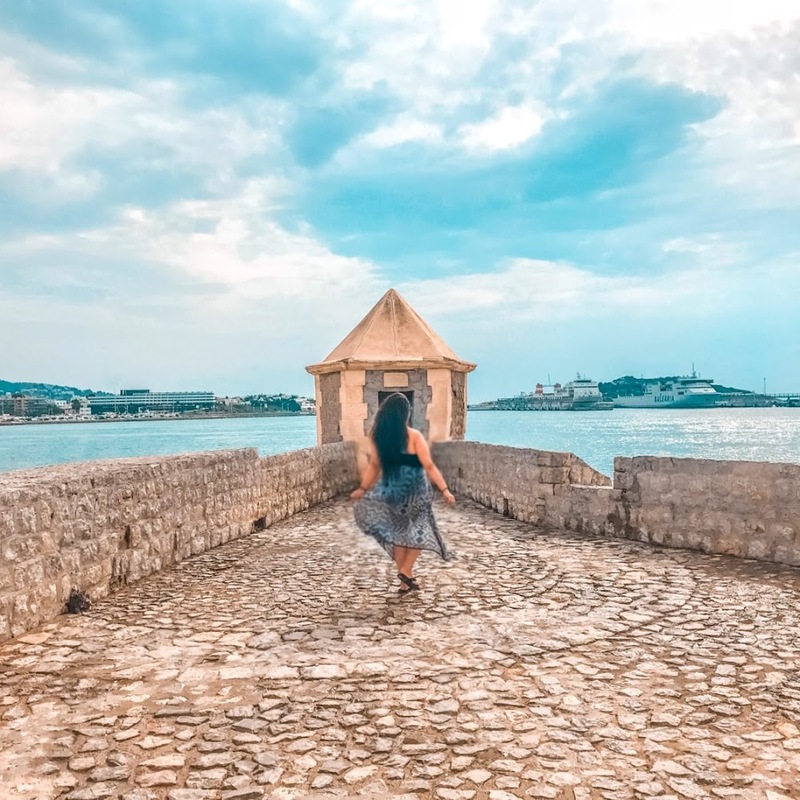 What a wonderful experience in a beautiful location. Glad you did it and got those pictures and memories. It was a struggle but well worth it haha! You capture this beautiful moment and I admire your dedication. Thank you so much, your words mean a lot! I visited Mt. 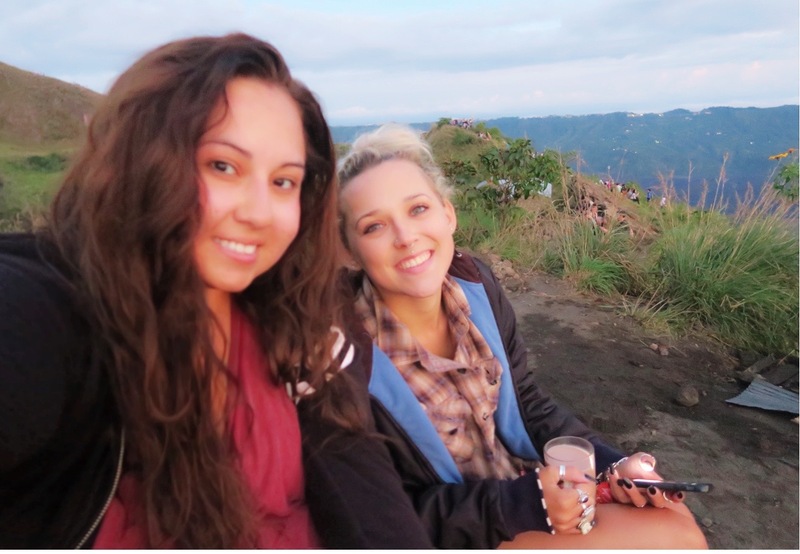 Batur last year and it was really nice. A bit too crowded for my taste but the view was absolutely worth it. I've heard it's been getting more and more crowded over the years but the views were so worth it! I struggle to wake up early (even when I travel) but this sunrise may be an exception! The tip about monkeys made me laugh, but I know it's a serious thing!